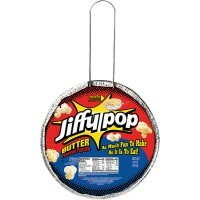 America LOVES popcorn and Americans LOVE Jolly Time! 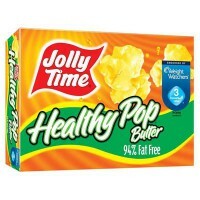 High in fiber and with just two grams of fat per serving Jolly Time Healthy Pop microwave popcorn has the irresistible yumminess of hot-buttered popcorn taste you crave. 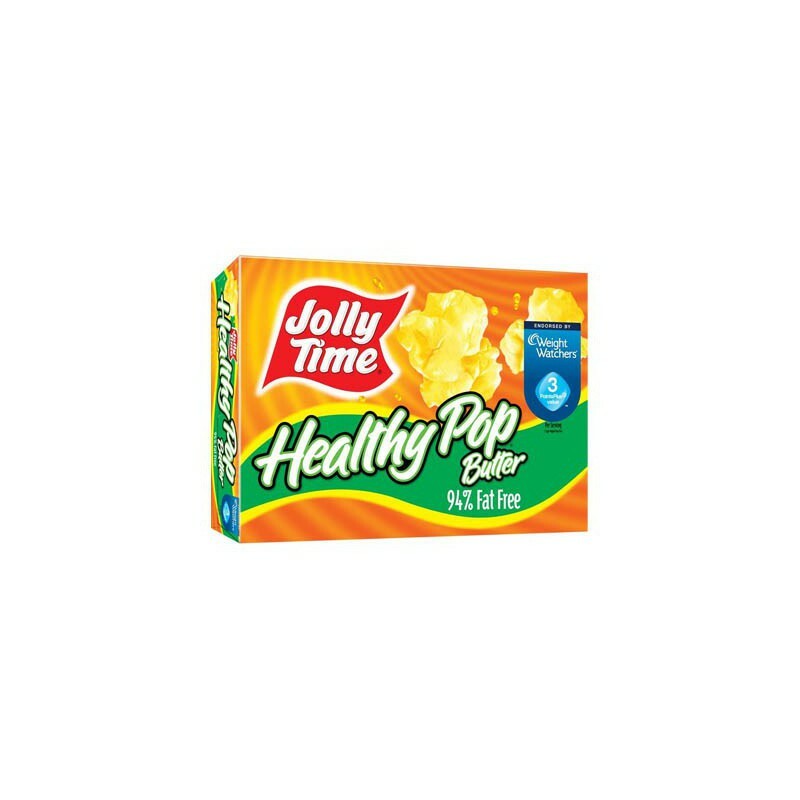 It's the perfect guilt-free American snack! 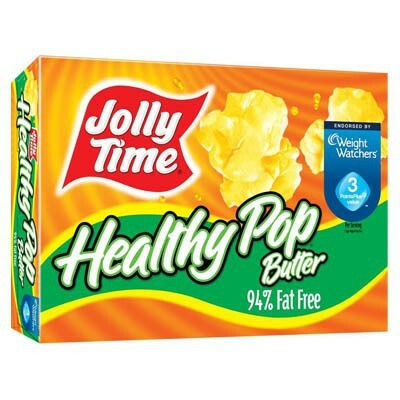 100% whole grain pop corn, partially hydrogenated soybean oil, salt, natural flavors (no diacetyl added), color E160b, soy lecithin E322.